Written by Salem College’s own Creative Writing Professor Rebecca Davis, “Amidst This Fading Light” is a debut novel written in eleven short stories. 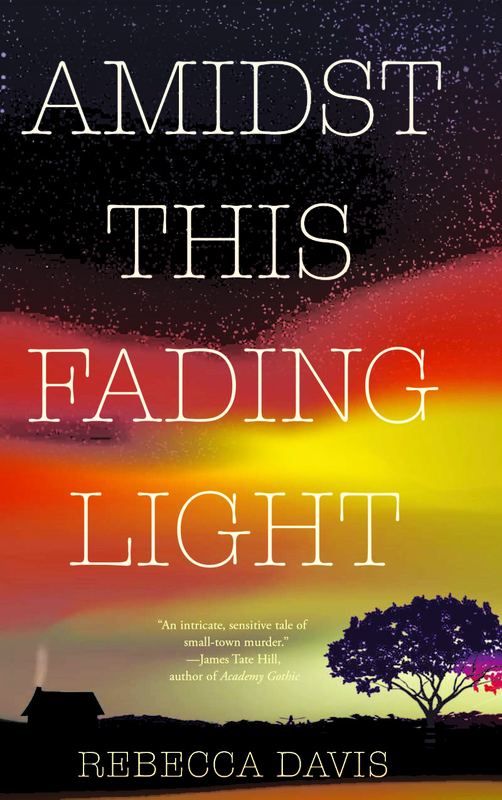 Set in Germantown, a small Southern town dominated by several old, founding families where everybody knows everything, this story asks the reader: Where can light come in amidst the shadows of suffering and sad memories? An unpredictable tragedy, mired in the Southern Gothic tradition and dripping with hearsay, is at the center of this beautifully-constructed novel. When the Picketts arrived to Germantown, nobody was quite sure what to do with them. They settled in the house that looked as though an invisible hand had come through and tilted it ever so slightly, and that was just what the townsfolk could see. When the ladies paid their customary welcome call, just as they had suspected, they saw firsthand that there was something off about the Pickett family, or at least that is what they said afterward. Nobody wanted to admit that they had not seen it coming. He is right, though, in saying Professor Davis’s debut novel is powerful. She writes with bare-boned honesty about the grieving process and the effect of a monumental, mysterious death on a whole community. It is this discovery and search for truth––of the human condition, in particular––that keeps readers turning the pages of this artistically crafted piece. In such character-driven fiction, where they jump off the page and push one another forward within the story, the reader is prone to connect with all of the people about whom they read. It is the story of the Pickett family coming to Germantown, but more than that it is about how the specific townspeople deal with the disaster that they bring with them. As a reader, I can promise that you will connect with Davis’s characters because she has made it nearly impossible not to. The Brow family of undertakers and the curious townspeople Lela Jones and Quince Pickett all prompt the reader to dive into Germantown to investigate not the murder itself, but what happens in its wake. Following this devastating act of violence, the author empathetically explores the fragility of life and the ripple effects of death. Davis’s book is as haunting as it is delightful. Professor Davis’s novel is for the lovers of Flannery O’Connor. It is for those of us who yearn to understand the purpose of the human existence, but it’s also for those of us who simply want to read a good murder with an air of mystery. It is about relationships and love, hatred and violence, growing up and change. It tells the legacy of a family, how it has survived through years and generations. “Amidst This Fading Light” shows how the survivors of a tragedy might tell a different story than the spectators. This novel is for the idealists who live with that annoying grain of salt, and the cynics who hope for better. It is for those of us who have stories so ingrained in us that they have become woven into the fabric of our being so much that if we tried to remove them, we would unravel.